Carefully selected from both academia and industry, our team of instructors represents a range of expertise, designed to meet your training needs. With extensive experience in various X-ray analysis fields, our instructors combine the best of theory and practice for a comprehensive learning experience. Click below to learn more about our clinics! Click on faculty member photo to learn more. *Faculty may change without prior notice to attendees. 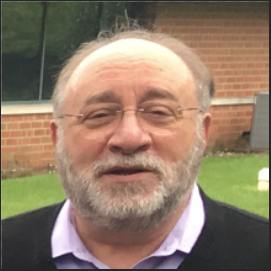 The owner of Anzelmo and Associates, Inc., a firm providing Analytical X-ray and sample preparation consultation as well as marketing and business consultation to high tech firms, John is currently the Technical Program Director for the ICDD XRF clinics. 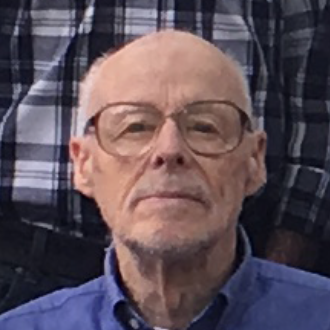 John has 41 years of experience in the fields of X-ray Fluorescence/X-ray Diffraction Analyses as Applications Scientist, Laboratory Manager, Product Manager, Marketing Manager and President for Applied Research Laboratories, Bruker AXS, and Claisse USA. He’s been a faculty member of the SUNYA/ICDD XRF Clinics for 25 years. 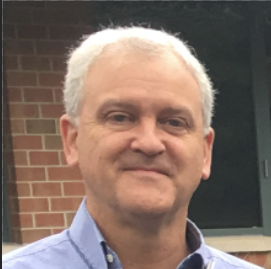 John’s industry accomplishments include the development of the Universal XRF Calibration for Iron, Nickel and Cobalt base materials used heavily by steel and high alloy mills in the USA. John’s publishing accomplishments include the first explicit procedure for ASTM C-114 Qualification of Cement by XRF, and, “… Universal Method for Preparation of Powder Materials for XRF …” that is used primarily by industries in mining, minerals, cement, slag and other oxides. He has also written over forty publications and given hundreds of presentations worldwide. 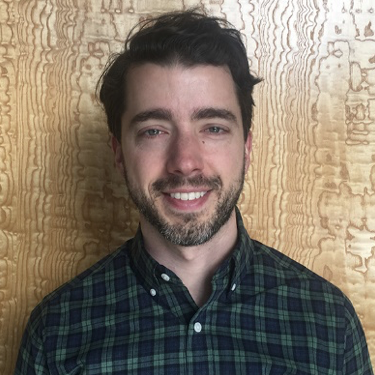 John currently serves on the Denver X-ray Conference Organizing Committee, on the Comité de Direction of Corporation Scientifique Claisse. He is an ICDD Fellow and served on the ICDD Board of Directors from 2012 to 2016. His education includes a B.S. in Chemistry from Loyola University, IL and graduate studies at the University of Wisconsin-Milwaukee. Areas of expertise: XRF – applications, calibration, sample preparation, instrument design; XRD – quantitative analysis. Larry is the Manager XRF – US Applications for Bruker AXS. He has been working in the field of XRF for over 30 years. He began his career as a Field Service Engineer with Philips Electronic Instruments in 1976 servicing and installing XRF and XRD instruments. Larry left the Service Department and joined the XRF Applications Laboratory at Philips in 1985. Three years later he left Philips to join the Siemens XRF Applications Laboratory. Siemens was later acquired by Bruker and is now known as Bruker AXS. 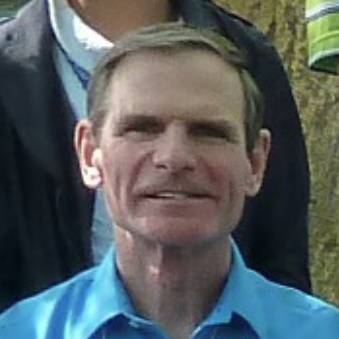 During his time at both Philips and Bruker Larry organized and taught the user training courses and provided on-site training in XRF. Working in a manufactures’ applications laboratory for 20 years provided Larry a broad range of exposure to different analytical challenges in XRF. Tom is the Executive Director and Principal Scientist at ICDD. Before joining ICDD he was a Senior Principal Scientist at Eastman Kodak Company where he worked in industrial applications of X-ray diffraction and X-ray fluorescence for 31 years. He was responsible for the operation of the X-ray Spectroscopy Laboratory, utilizing diffractometers for powder, pole figure, nonambient, high-resolution, reflectivity, and two-dimensional XRD. Materials analyzed included inorganics, organics, solid state devices, thin films, corrosion products, ceramics, pharmaceuticals, polymers, and nanomaterials. Tom was also the Technical Leader in the Specialty Materials Development Laboratory. His area of focus was utilization of XRD for microstructure characterization resulting in new materials development for intellectual property and product development. Tom has 180+ publications including 4 book chapters, 46 U.S. Patents and 57 international patents. Tom has served as a member of the ICDD Board of Directors for the terms 1992-1998 and 2004-2013, serving as Chairman 2008-2012. He has also received the honor of being named an ICDD Distinguished Fellow. 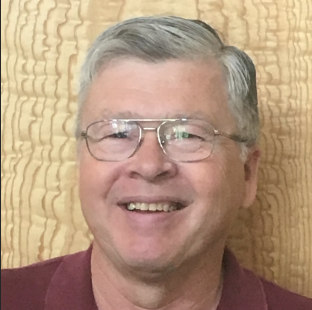 Tom has been an instructor at the SUNY Albany and ICDD XRD Clinics for more than 30 years, and has served as a lecturer at the University of Rochester. Dr. Crowder received his B.S. in Chemistry at the University of Missouri – Rolla in 1976 and followed that with 2 years of teaching high school physical sciences and mathematics in Missouri. He returned to the University of Missouri – Rolla to receive an M.S. degree in Physical Chemistry in 1980 and a Ph.D. in 1982 using neutron diffraction to do structural studies on magnetic intermetallics and their hydrides. Dr. Crowder joined the Dow Chemical Company in 1982 and has been active in the field of X-ray diffraction since that time. As a member of Dow’s Analytical Sciences Laboratory, he used various X-ray diffraction techniques to solve both R&D and production-related problems in the fields of polymer science, pharmaceuticals, catalysis, ceramics, electronics, and composite materials. He was co-winner of an IR-100 award in 1987 for his work on the development of the combination DSC/XRD instrument and co-winner of the International Zeolite Association Breck Award in 1989 for his determination of the structure of VPI-5 – a molecular sieve with the largest known pores at the time. Before his retirement from Dow in September 2007, his responsibilities included Global Technology Steward for X-ray diffraction and tomography and representative for Dow on the DND-Cat Board of Directors at the APS synchrotron, Argonne National Laboratory. He served for four years on the Board of Directors of the ICDD (1994-1998) and was elected ICDD Fellow in 2000. Dr. Crowder joined the ICDD as Principal Scientist in September of 2007, retiring in 2014. Areas of expertise: X-ray powder diffraction, phase identification, and quantitation, Rietveld analysis, synchrotron-based powder diffraction, neutron diffraction, crystallography, combination thermal/phase analyses (DSC/XRD), and X-ray microtomography. Joel is an industrial staff scientist at Canadian Light Source (CLS), a third generation synchrotron facility in Saskatoon, Saskatchewan, where he has been working since 2011. Joel helps clients from industry and academia to use synchrotron techniques, including powder diffraction, to find solutions. He received his B.Sc.E. and Ph.D. degrees in Engineering Physics from Queen’s University at Kingston, Ontario. Joel’s prior work experience includes over two years at Millenium Biologix Corporation, also in Kingston, working on development of calcium phosphate based biomaterials, and over four years on the editorial team of the Publication Department at the International Centre for Diffraction Data. Joel is an ICDD member and served as an instructor for the Rietveld Clinic from 2007 to 2010. He is a co-author of over 30 peer-reviewed papers. Tim received his B.S. in Chemistry at the University of Massachusetts and a Ph.D. degree in Inorganic Chemistry at Rutgers University. He worked at the Dow Chemical Company from 1979-2001 and then was Executive Director of the ICDD until his retirement in 2017. At Rutgers he combined X-ray crystallography with various spectroscopy techniques to study amino acids, chromophores of metalloproteins, and cupruretic agents for Wilson’s disease. He was hired into the X-ray diffraction laboratory of the Analytical Sciences Department of the Dow Chemical Company in Midland, MI. 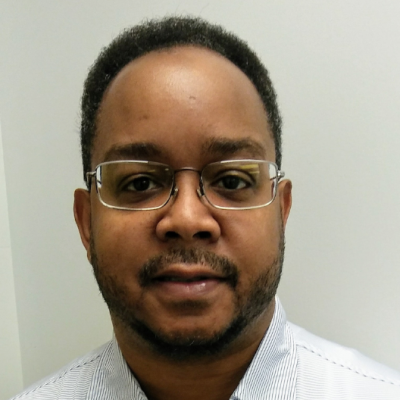 During the next 10 years, he worked in the X-ray diffraction laboratory performing a wide range of analyses of corrosion products, inorganic materials, advanced ceramics, catalysts, pharmaceuticals and polymers. He eventually managed the inorganic analysis laboratories in Analytical Sciences, that included XRD, XRF, NAA, AA, ICP, AES, CHN, IC and electrochemical analyses. He worked with a team of scientists that developed and patented the simultaneous DSC/XRD/MS instrument, which won an IR-100 award in 1987. From 1986 to 1988 he served on the Board of Directors for the ICDD. During the 1990’s, Tim managed several new product development groups in advanced materials, electronics, coatings, dispersions, ceramics and automotive components for different business organizations within the Dow Chemical Company. He became an ICDD fellow in 2000 and joined the ICDD as Executive Director in 2001. During his career, Tim has authored over 60 publications, been a frequent guest lecturer, and presented several papers and workshops at global X-ray conferences. Several of his publications have been incorporated in the book, Methods & Practices in X-ray Diffraction, published by the ICDD. In 2009 he received the Jenkins Award for Lifetime Achievement in the advancement and use of X-rays for materials analysis. As Executive Director, he directed and participated in the dramatic growth of the Powder Diffraction File to >950,000 entries, which is now used by scientists in over 120 countries. Tim is currently the Chairman of the Organizing Committee for the Denver X-ray Conference. Area of expertise: X-ray diffraction as an analytical technique. Dr. Gates-Rector is a Senior Scientific Editor & the Project Leader over New Projects at the International Centre for Diffraction Data (ICDD). She manages and maintains data collection for the “Organics” project that is published in the PDF-4/Organics product. Additionally, she reviews and standardizes experimental data and crystallographic information for publication in all of the PDF products. Prior to joining ICDD team, she investigated transparent conducting oxides for use in photovoltaic devices. Her scientific education and training is in chemistry (with focus on analytical and inorganic chemistry, as well as crystallography). ducation) where scanning electron microscopy (SEM & SEM-EDS) is used remotely at secondary and high schools to teach students about the astounding capabilities of advanced analytical instrumentation. Ms. Gindhart is a Senior Scientific Editor and ISO Quality Management representative at the International Centre for Diffraction Data. Some of her current responsibilities include being the Project Leader of Data Entry and Processing for the Experimental data products as well as an instructor at the Rietveld Refinement and Indexing Clinic at ICDD. Her Master’s Thesis was on the negative thermal expansion of AA’W3O­12 (A,A’=Mg2+,Zr4+;Mg2+;Hf4+) compounds with respect to temperature and pressure phase transitions. She carried out the experiments between the University of Toledo, Cornell High Energy Synchrotron Source, and the National Institute of Standards and Technology’s Center for Neutron Research. She also did previous research on the analyzation of conformative effects of E. Coli GMP Synthetase using MALDI-TOF Mass Spectroscopy for her undergraduate research project. She received her Bachelor’s of Science degree in Chemistry from Lebanon Valley College, Annville, PA and went on to receive her Master’s Degree in Chemistry/X-ray Crystallography from The University of Toledo, Toledo, OH. 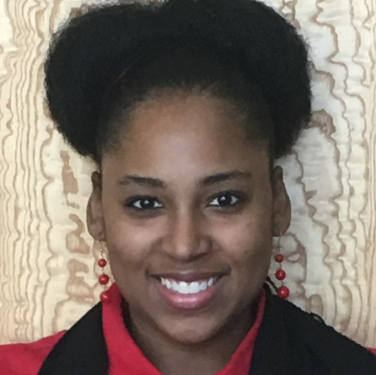 She received several accolades during her graduate career including the Pauling Poster Prize and the Margaret C. Etter Student Lecturer Award both from the American Crystallographic Association among other presentation awards. Suri received his MS in Chemistry from the Mangalore University in India in 1992. Suri’s thesis, “Structural Phase Transition in Inorganic Systems: Insights from X-ray Diffraction Studies”, earned him his PhD in chemical crystallography from the Indian Institute of Science, a premier research institute in India, in 1999. Suri joined the ICDD in June of 1999 as a Post Doctoral Research Fellow and accepted the position of Editor of Calculated Patterns in 2000. In 2003, he chaired the task group to develop a method to assign quality marks to calculated patterns. He developed and implemented the algorithm to evaluate the quality of calculated patterns based on the task group outcome. Suri has calculated and critically-reviewed (using his data evaluation suite) more than 900,000 diffraction patterns. 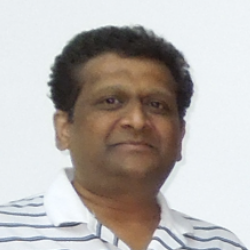 Suri is currently the Editor-in-Chief of the Powder Diffraction File (PDF) where he remains heavily involved in the significant crystallographic review of crystal structures and X-ray diffraction patterns prior to their publication. Over the years, he has developed various algorithms to evaluate and classify crystal structures, optimizing the editorial process. Automating the subfile assignment has enhanced the search/match capability using the Powder Diffraction File. Suri has spearheaded several projects leading to many of the enhancements to the PDF, including the addition of atomic coordinates, quality mark assignment, extensive cross-referencing, structure prototyping and classification. The quality improvements to the PDF have a direct impact on phase identification processes. Areas of expertise: Chemical crystallography, structural chemistry, computational crystallography, X-ray diffraction. After retiring from Amoco/BP/INEOS Technologies, Analytical Sciences Research Division, Naperville, Illinois, Jim began his consulting firm, Poly Crystallography Inc. He is also a Research Professor of Chemistry at Illinois Institute of Technology in Chicago, and an Adjunct Professor of Physics at North Central College in Naperville. While at INEOS, Jim served as an Associate Research Scientist running the XRD Laboratory. There, he characterized a wide variety of materials, including catalysts, organic small molecules, coordination complexes, polymers, corrosion deposits, and various sorts of crud. He is well-known for solving and refining crystal structures from powder diffraction data. Jim is a former Chairman of the Board of Directors of the International Centre for Diffraction Data, and currently serves as Treasurer. He is a former Chair of the U. S. National Committee for Crystallography, Treasurer of the American Crystallographic Association, and Co-Editor of Acta Crystallographica B: Structural Science and Advances in X-ray Analysis. 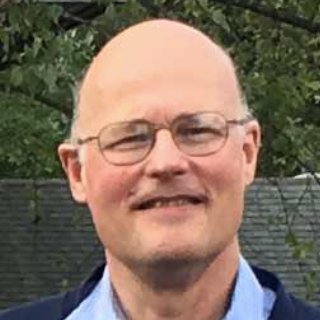 He is currently a Consultant to the IUCr Commission on Powder Diffraction a member of several other IUCr Commissions and Committees, and a member of the Denver X-ray Conference Organizing Committee. He is one of the three editors of the forthcoming Volume H of the International Tables for Crystallography on powder diffraction. He is a member of the faculty of the ACA summer school on small-molecule crystallography, and teaches at other short courses and workshops around the world. His more than 200 publications deal principally with the solution and refinement of crystal structures using powder data. He has contributed more than 650 patterns to the Powder Diffraction File®. State, where her research included calculation of powder diffraction patterns and the use of computer programs for analysis of powder diffraction data. Dr. Quick has been a valuable asset to the ICDD X-ray clinic for over 20 years. 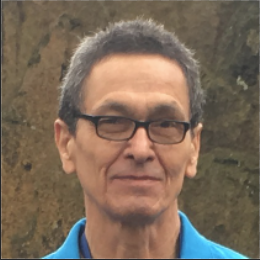 Mark Rodriguez is a Principal Member of Technical Staff in the Materials Characterization and Performance Department at Sandia National Laboratories in Albuquerque, NM, where he has been for 20 years. He earned his B.S. in Ceramic Engineering from Alfred University in 1988 and Ph.D. in Ceramics from Alfred University in 1992. 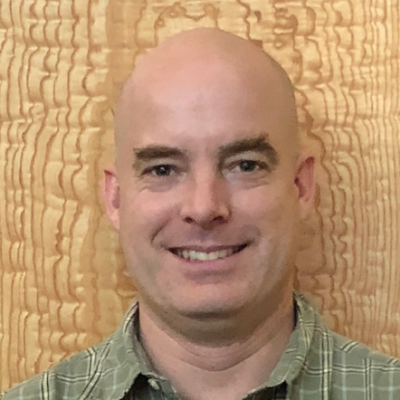 He previously worked as a post-doctoral research associate in the Geology Department at Princeton University (1992-1994) and as a post-doctoral research associate at Sandia National Laboratories (1994-1997) prior to his full-time staff appointment. He is currently responsible for XRD and XRF characterization of new materials using standard powder XRD, single-crystal XRD, texture/pole-figure analysis, reflectivity, micro-diffraction/fluorescence, and the use of multivariate statistical analysis in data reduction. Mark specializes in “in-situ” diffraction analysis such as high-temperature diffraction and data collection during applied fields. 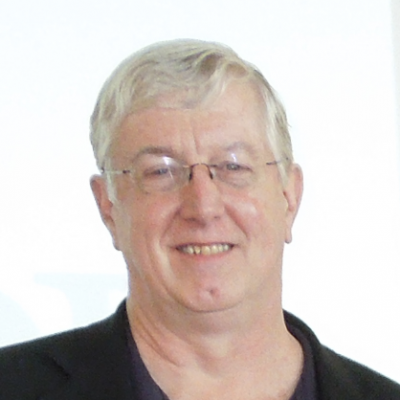 He has published over 270 technical papers, authored two book chapters, and has 4 issued patents. Mark was named a Fellow of the ICDD in 2009, and has served on the ICDD Board of Directors as a Director-at-Large (2008-2012) and is currently the Chairman of the Technical Committee for ICDD. He has served as an instructor for the XRD-I Clinic for 16 years. Dr. Ryba celebrates 53 years on the faculty of the Materials Science and Engineering Department at The Pennsylvania State University. His dedication to the ICDD X-ray clinics is evident in 30 years of instruction dating back to when the clinics were held at SUNYA. At Penn State, his teaching responsibilities have included powder and single crystal x–ray diffraction, crystallography, characterization of materials, microcomputer usage, general aspects of materials, physical metallurgy, electronic and other physical properties of materials, and technical writing. Recently, he has expanded into teaching courses on advanced geometrical crystallography, the Rietveld method, advanced powder diffraction, and small angle scattering. He has also taught courses in crystallography and X-ray diffraction at two major universities in China. Research interests: crystal structures and crystal chemistry of intermetallic compounds and quasicrystals; X-ray diffraction studies of a variety of materials; and new directions in crystallography. Currently working as an Applications Scientist for SPEX SamplePrep LLC. 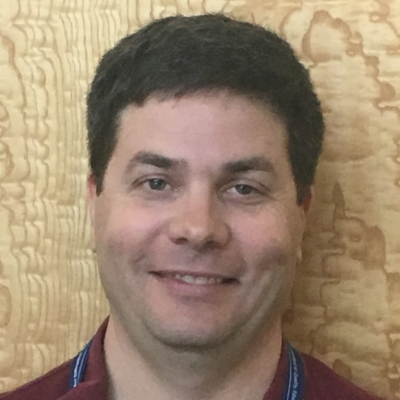 Eric’s duties include demonstrating and installing instruments, working with customer samples, advising customers, writing and editing, attending trade shows, etc. He received his B.S. in Chemistry from Kean University, NJ. Area of expertise: Sample preparation, particularly for XRF. installations for these products, a task which requires close teamwork within the many facets of the Science Department, as well as careful testing and documentation. This insight into the details of production and assembly allows him to sympathetically assist analysts experiencing technical difficulties. Mary Ann is a Senior Engineer at IBM‘s East Fishkill facility for Semiconductor Research and Development and advanced 300mm semiconductor manufacturing. She is a member of the Technology Analysis Group and is responsible for the XRF and TXRF laboratory and 300mm in line manufacturing metrology. Her characterization responsibilities cover a wide range of XRF and TXRF analysis. The lab has several XRF instruments including WDXRF, Micro XRF, wafer level TXRF and a semiconductor special system that combines micro XRF, XRR and XRD. Mary Ann introduced XRF thin films analysis into both the semiconductor wafer and packaging manufacturing lines for process control. She has published several papers on the topic. Mary Ann’s work with TXRF analysis for ultra trace metal contamination and has been instrumental in moving the TXRF from a lab-based instrument to an inline metrology tool. 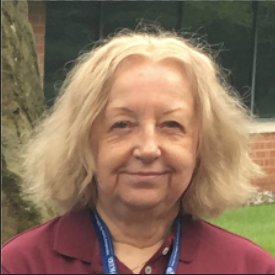 As team leader for the metals contamination group, Mary Ann was responsible for all in line contamination monitoring including TXRF, VPD-ICPMS and Elymat for IBM Microelectronics division. Mary Ann developed in line trace analysis tool monitoring by VPD-TXRF for a fully automated process control. As member of IBM’s metrology team she worked closely with Sematech Semiconductor Roadmap Group to define the early methods for XRF thin film analysis and metallic contamination. She provides XRF and TXRF technical support to all of IBM’s sites including Yorktown Research Center and Albany Nano Technology Center. Mary Ann has several patents and patent disclosures at IBM. Mary Ann holds a B.S. Degree in Chemistry from SUNY at New Paltz and did graduate work in Materials Science at Columbia University. 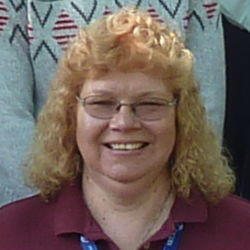 Mary Ann was an instructor at the SUNY Albany XRF Clinic and is currently an instructor with the XRF Clinic at the ICDD and is a Fellow of the ICDD. She is an instructor in the ICDD Hand held XRF Clinic and the ICDD TXRF Short Course. 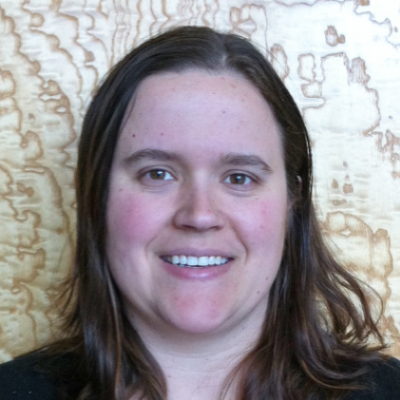 Mary Ann is also a member of the Denver X-ray Conference Organizing Committee and has organized workshops and special sessions on many topics related to XRF/TXRF analysis. She is a member of the Organizing Committee for the International TXRF Conference and was chairman for both International TXRF 1998 and TXRF 2013. Mary Ann has participated in Bruker’s Frontiers of Science Symposium on the topic of Micro XRF Analysis for Semiconductor Applications. Mary Ann was honored at the Dutchess County NY Salute to Women and is a member of IBM –EF Women’s Leadership Institute. Justin began his career at the ICDD in the summer of 2000 as an intern under the supervision of Dr. John Faber. During his two-year internship, Justin created software to analyze the performance of relational database searches in the Powder Diffraction File, as well as spearheaded a project that allowed users to data mine the Powder Diffraction File using any web browser. Upon graduating from college in 2002 with a Bachelor’s in Computer Science, Justin was hired as a full-time Software Engineer at ICDD to continue software development and assist the ICDD in its transition from a “flat file” database to the next-generation relational database (RDB). During the next few years, he re-wrote the OEM/vendor licensing library to be compatible with all databases, transitioned software from a 7-digit PDF number to an 11-digit PDF number, as well as added support for the calculation of powder diffraction patterns from atomic coordinates. As existing software and database limitations became apparent, Justin lead a small team in 2005 that rewrote the entire ICDD software suite from Visual Basic to Java. In addition, the team converted the back-end database engine from Microsoft Access to Sybase SQL Anywhere. This new version was much faster, more flexible, and contained many new features. Over the past ten years it has been used by thousands of scientists worldwide for materials analysis. After being promoted to Senior Software Engineer in 2007, Justin became the project leader for the PDF-4+, PDF-2, and PDF-4 Minerals products. He continued his software development efforts by adding support for all major XRD manufacturers, implementing a full pattern analysis algorithm, creating dynamic 2D ring pattern simulations, adding support for constant wavelength neutron diffraction pattern simulations and analysis, as well as aiding the implementation of displaying modulated structures. In 2014, Justin was promoted to Manager of Engineering and Design where he leads a group of developers who continually update the Powder Diffraction File software with new features on a yearly basis. Recent developments include importing 2D diffraction patterns for phase identification, isotopic substitution for neutron diffraction pattern simulations, and modifying existing algorithms to analyze time-of-flight neutron diffraction patterns.